It doesn’t matter if it is a cage, terrarium, or a tank, the habitat of your bearded dragon will be its home for many years. So, in order to have a happy and healthy bearded dragon, you have to ensure that its environment suits its needs and demands best. 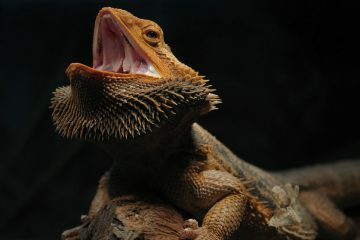 This article will go over the best bearded dragon heat lamps that you must consider. The brighter the cage, the happier and healthier your bearded dragon will be. Always bear in mind that this type of animal came from Australia desert, so they need full range lighting for twelve to fourteen hours every day. Full range lights are different from what you have at home and produce light in the UV spectrums needed by your pet in or order to stay healthy. Also, the lights have to be extended all through the cage evenly. So, this only means that as a responsible owner of bearded dragon, it is you have to choose the best heat lamps in order to keep your pet happy and healthy. Below is the review of the top 3 bearded dragons heat lamps available on the market today. This bearded dragon heat lamp offers a very powerful source of UVA heat for your pet that needs heat at night with no light output generated through UVB lights. 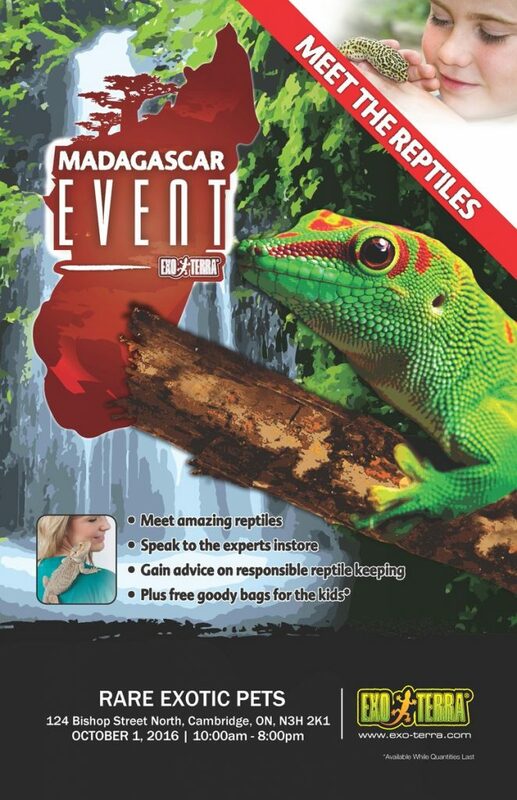 This is ideal for a broad range of amphibians and reptiles. This is also perfect for dogs and cats that live outside your home, but need heat during night time. It comes with a user’s guide to ensure optimal results. This head lamp from Evergreen Pet Supplies is compatible with any enclosure like cages, tanks, vision cages, reptariums, aquariums, hatcheries, outdoor enclosures and many others. This is remarkable for nocturnal pets. 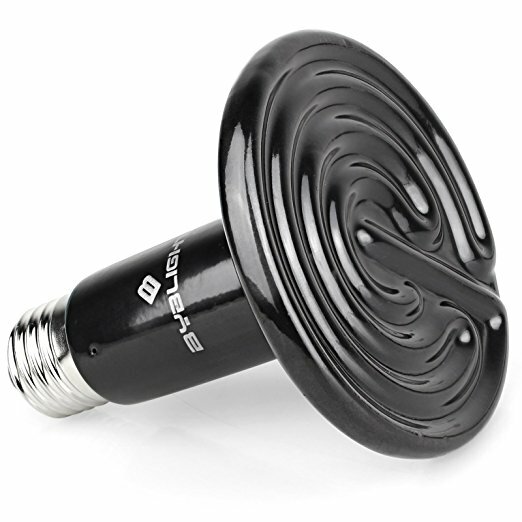 The maker of this product conducts a test on every bulb to guarentee appropriate functionality. 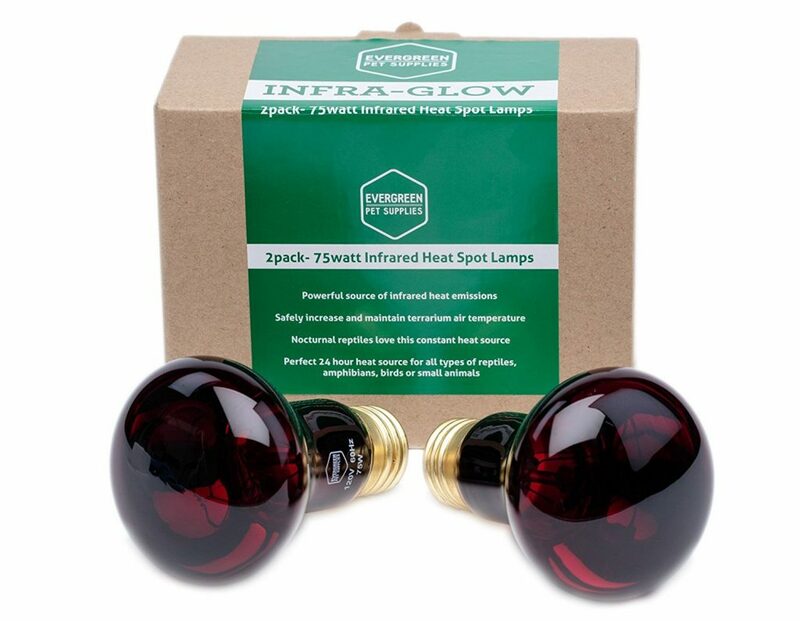 If used properly, it provides best-in-class lifespan, as opposed to other heat lamps available today. The expected lifetime of this bulb is 800 to 1000 hours. To ensure the security of your bearded dragons when utilizing this heat lamp, use a high quality socket wherein the metal lead is in full contact with the bottom of the bulb. This heat lamp is the best 24 hours source of heat for your bearded dragons. The Ceramic heater is a bright heat source that makes a sun-like heat with a consistent pattern. The porcelain heating devices are attached to an average porcelain incandescent socket, offering intense muscle-penetrating heat without producing light. It is available in flat-faced design that is long lasting and more effective than conical styles that build up too much heat inside eventually carbonizing the element. Also, it increases the air temperature in the cage. 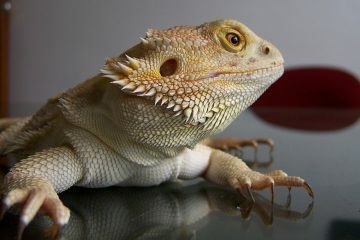 Infrared heat goes through the scale as well as skin tissue of your bearded dragon, promoting wellbeing and healing. This is because it widens his blood vessels and helps improve blood circulation. This tolerates high temperature from light bulbs and reptile heat. 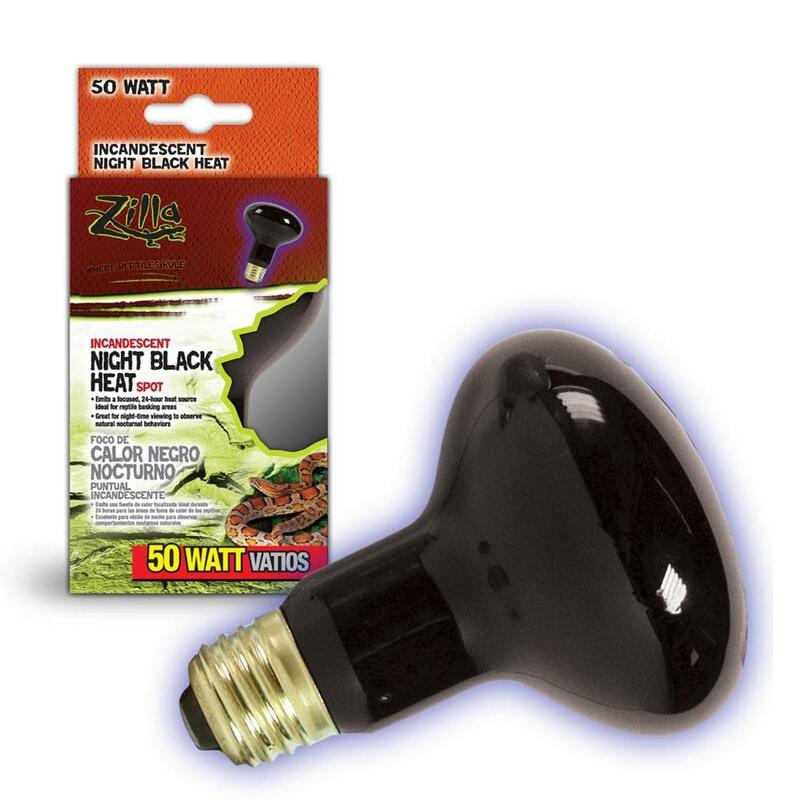 This state-of-the-art bearded dragon heat lamp from Zilla offers more focused heat and light. It stimulates the natural sun light, which is perfect for basking. The pinpointed heat and light allows moving away your reptiles easily from the source of the heat and regulating body temperatures. Durable filaments yield many hours of amazing performance. These are the top 3 best bearded dragon heat lamps available today. Each one has its own benefits, so no matter which product you choose, you are assured that your bearded dragon will be healthy and happy.